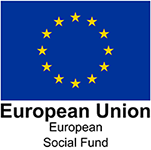 RFEA relies upon the support we receive from partners who generously give their money to fund our work, and we would like to pay special thanks to the following charities and organisations. ABF The Soldiers’ Charity gives a lifetime of support to soldiers and veterans from the British Army, and their immediate families, when they are in need. Over the last 10 years, the Royal Navy and Royal Marines Charity has contributed in excess of £51 million to where the need is most ensuring sailors, marines and their families are supported for life. Greenwich Hospital is a unique Crown Charity providing charitable support including annuities, sheltered housing and education to serving and retired personnel of the Royal Navy and Royal Marines and their dependents. The Royal British Legion helps members of the Royal Navy, British Army, Royal Air Force, veterans and their families all year round. They also campaign to improve their lives, organise the Poppy Appeal and remember the fallen. Poppyscotland provides life-changing support to our Armed Forces community. They reach out to those who have served, those still serving, and their families at times of crisis and need by offering vital, practical advice, assistance and funding. 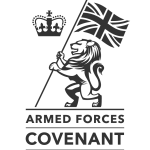 The Armed Forces Covenant Fund has four broad funding themes: removing barriers to family life; extra support after service for those that need help; measures to integrate military and civilian communities and allow the armed forces community to participate as citizens; and non-core healthcare services for veterans. The Call of Duty Endowment is a non-profit foundation co-founded by Bobby Kotick, CEO of Activision Blizzard. The Endowment helps veterans find high-quality careers by supporting groups that prepare them for the job market and by raising awareness of the value veterans bring to the workplace. The Career Transition Partnership (CTP) is the partnering agreement between the Ministry of Defence (MoD) and Right Management, global career development and outplacement specialists. CTP provides resettlement services to those leaving the British Armed Forces and making the transition from military to civilian life. Help for Heroes supports those with injuries and illnesses sustained while serving in the British Armed Forces. No matter when someone served, Help for Heroes gives them the support they need to lead active, independent and fulfilling lives. Lloyd’s Patriotic Fund is the oldest military charity of its kind and has supported the Armed Forces community on behalf of the Lloyd’s market for over two hundred years. Today, Lloyd’s Patriotic Fund supports serving and ex-service personnel and their families, with a particular focus on those who are disabled or facing poverty, illness and hardship. With a focus on innovation to ensure human progress, Lloyd’s Patriotic Fund has ongoing relationships with a number of military and ex-military charities in addition to an annual grant giving programme. Shaw Trust is a charity helping to transform the lives of young people and adults across the UK and internationally. Their specialist services help people gain an education, enter work, develop their career, improve their wellbeing or rebuild their lives. Team London is Mayor Sadiq Khan’s volunteering programme. They encourage all Londoners to become active citizens and to give their time to make the capital a better place. Many armed forces charities struggle to raise sufficient funding to support serving and former members of the British Armed Forces. The Veterans’ Foundation has been created to establish a new and nationwide source of funding to help these charities. It acquires its funds through the Veterans’ Lottery and donations. Veterans Scotland aims to enhance the welfare of the veterans community in Scotland by acting as the prime vehicle for joint working between its member charities; for the dissemination of information to its members and the coordination of joint approaches to UK; Scottish Government; Local Authorities and other organisations whose business is of benefit to veterans. X-Forces is the leading organisation in the UK for enterprise in the military community. Zapier helps you connect and automate the apps you use to get stuff done, so you can spend more time on human work.